Watching a sign writer as work is truly mesmerizing. 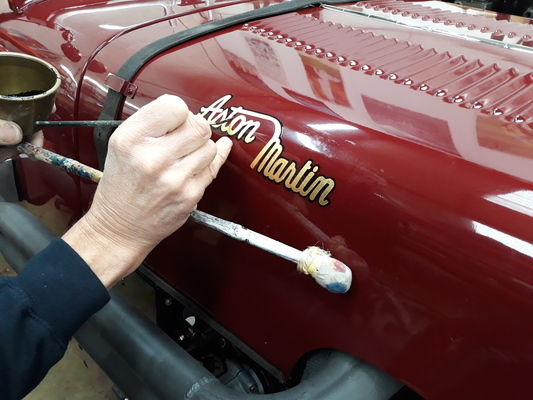 Here, Ady is putting the period-correct black outline to the gold script on the bonnet of this 1936 Aston Martin Speed Model. A true craftsman indeed. This particular vehicle has undergone some recent bodywork repairs. Work is nearly complete on schedule for the approaching events season, where it has a busy time ahead!